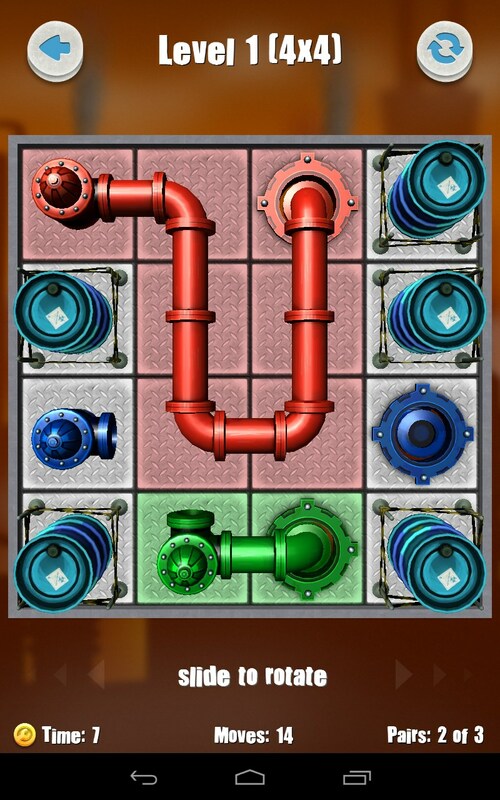 Plumber Bob: Pipes Flow 3D – Games for Android 2018 – Free download. 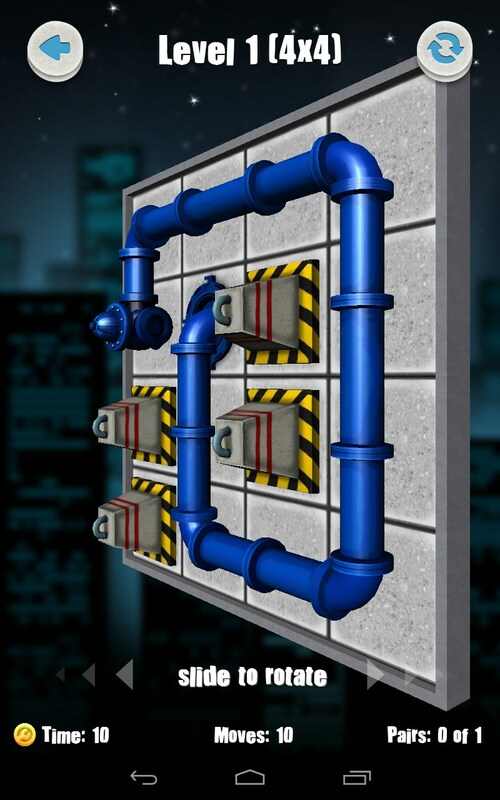 Plumber Bob: Pipes Flow 3D – Brain teaser about pipes. 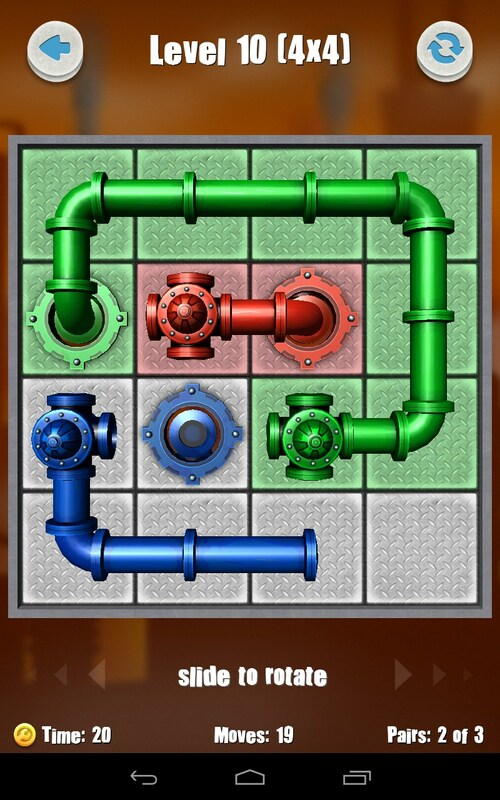 Bob Plumber: Pipes Flow 3D - this is a simple puzzle game for Android, where you have to become a plumber. Come to the aid of hapless Bob failed his job. 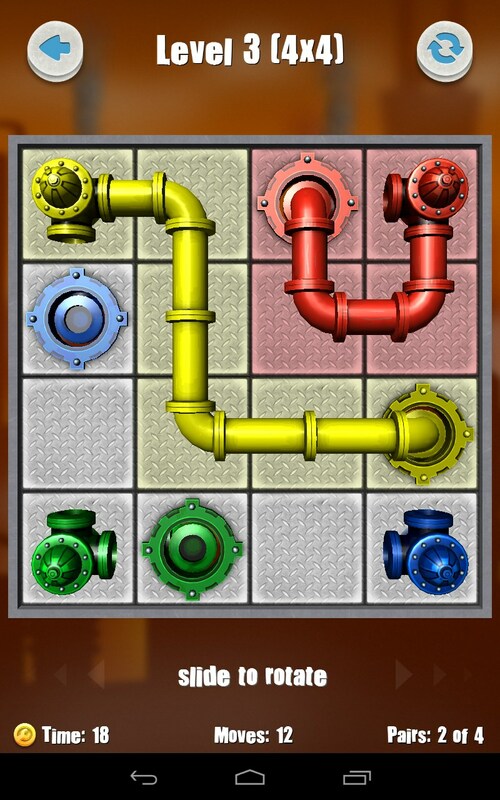 Connect colorful pipe through a three-dimensional platform. 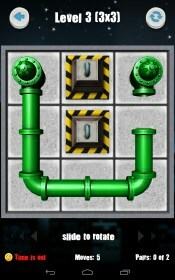 Proceed as quickly as possible, using a minimum of components. Run game in three dimensions, however, the quality of drawing and design leaves much to be desired. 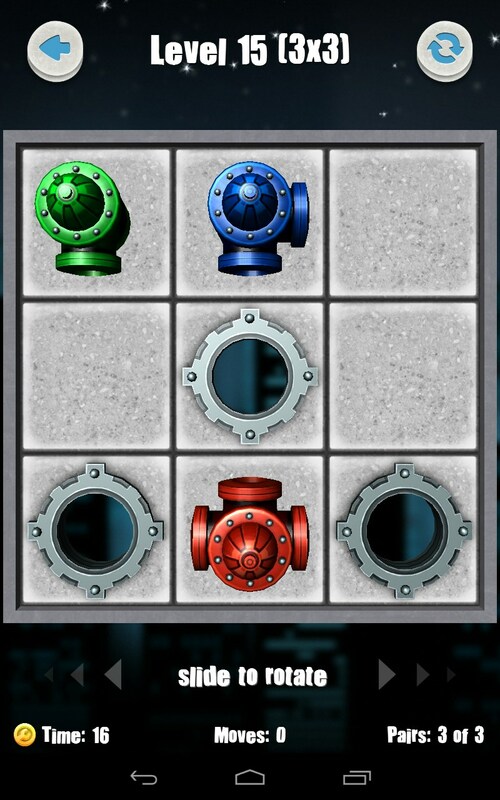 Huge number of levels differ in size and some elements. It certainly does not give the desired diversity, but at least it does not get lost in the same locations. 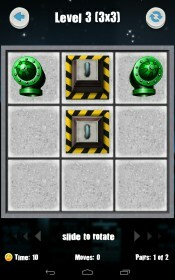 idea of the game can be called a classic, as we have seen these games even on older consoles. 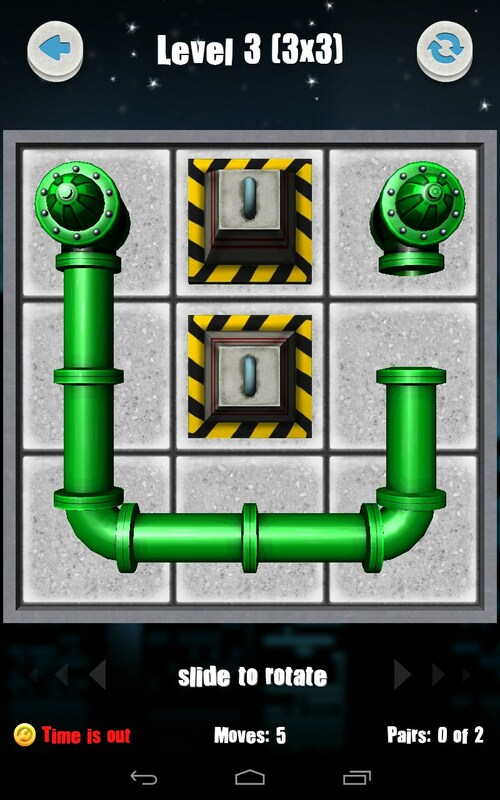 Your goal is simple: connect the pipes by color, leaving no free cells at the site. Some innovation was something that will work with three-dimensional map, which has through transitions to the opposite side. 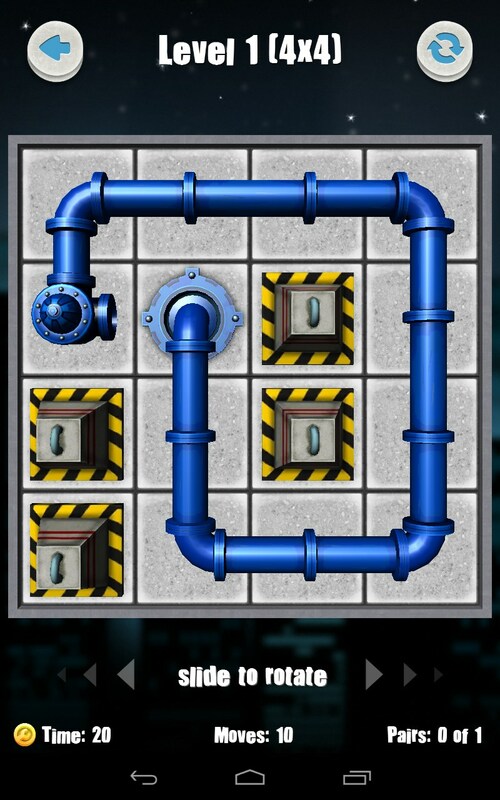 This complicates the process of installing pipes and simultaneously causes include spatial thinking. 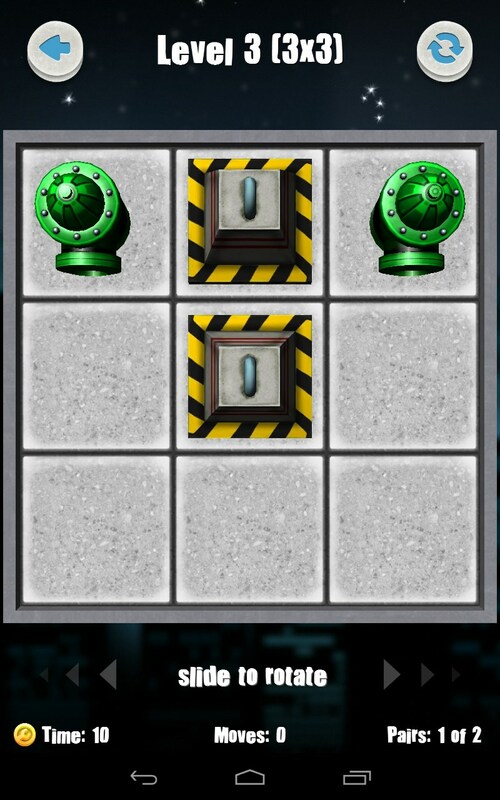 In total you will have to go through more than 150 levels, which are divided into several sections, different design and some elements of the game. 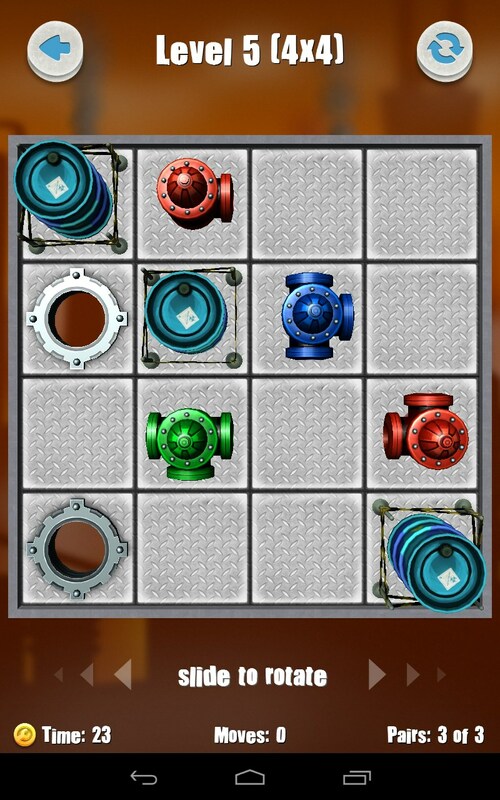 For example, will be new kinds of pipes and additional complexity. And will change the field size from very small to quite large. And the greater the area, the more difficult and level. Management, as you might guess, is very simple: you just need to keep your finger from one point to another. But this simplicity does not help in the passage of levels, especially at the three stars. 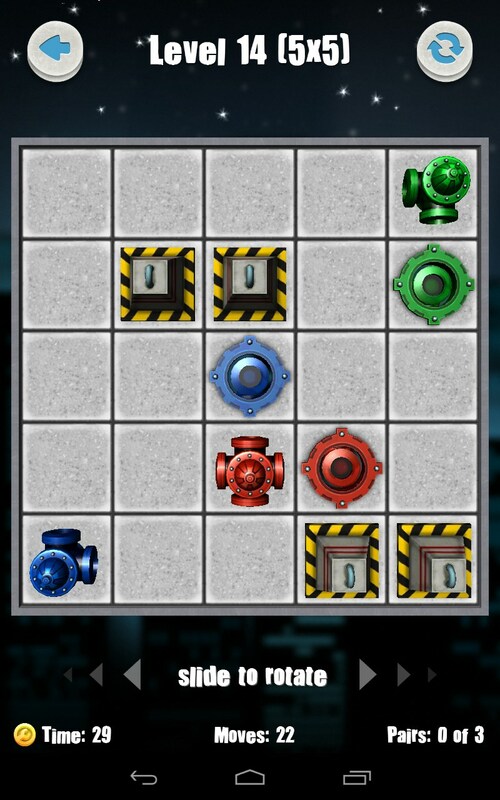 To get the highest score, you must complete all the work in the allotted time, and thus to make the minimum number of movements. That is, you need to quickly assess the situation and find a solution and implement it. The game received an average, it does not please any graphics or gameplay - all very banal. 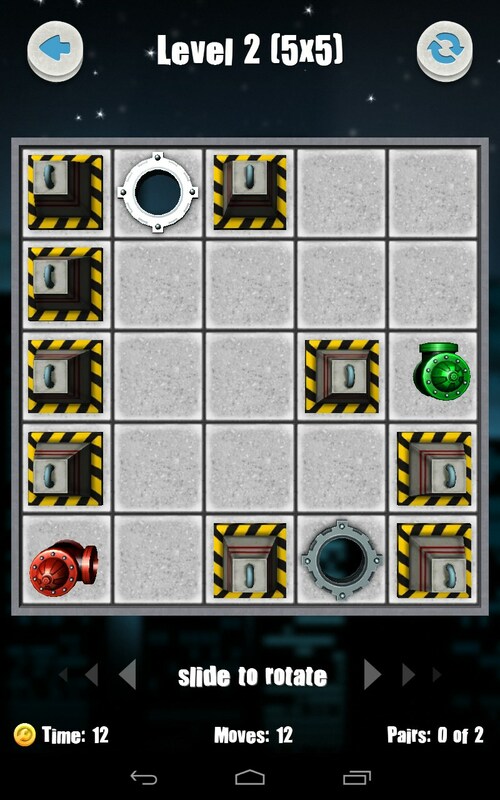 In addition, we note the abundance of advertising that pops up after almost every level, covering the entire screen. Of the same advantages can be noted that it is distributed free of charge. Total . 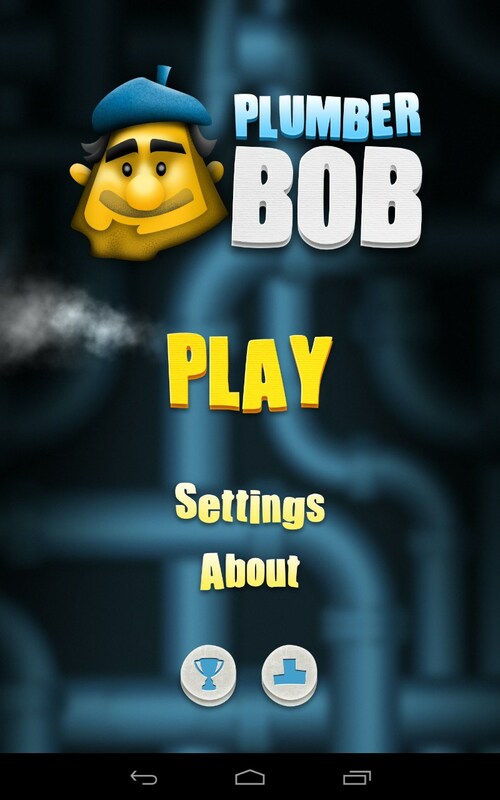 Plumber Bob Pipes Flow 3D will attract fans of puzzles and those who are nostalgic for the good old "plumber". If you have enough diligence, you will surely please a large number of levels, the passage of which require more than one day.